Imagine an office that relied exclusively on landline telephony and fax machines. While it was the norm only 20 years ago, today’s businesses require a much more versatile communications infrastructure, one that takes full advantage of IP networking and a hybrid WAN. Enter unified communications, supported by a solution like Talari’s THINKING WAN that provides an optimal network for cutting-edge communications tools. UC brings instant messaging, videoconferencing, voice services like VoIP, mobility, presence and many other applications under one roof. Moreover, the presence of a solution like the Talari THINKING WAN ensures a network is ready for UC video and voice applications and their prioritization in failover situations. In addition to technological and budgetary benefits, utilizing UC atop a modern WAN can also contribute to your company sustainability initiatives. “Going green” has become a powerful way for organizations to simultaneously demonstrate awareness of environmental issues and reach out to a broad range of consumers. Nielsen research from 2014 found that 55 percent of global online consumers were willing to pay more for products from companies committed to positive social and environmental change. 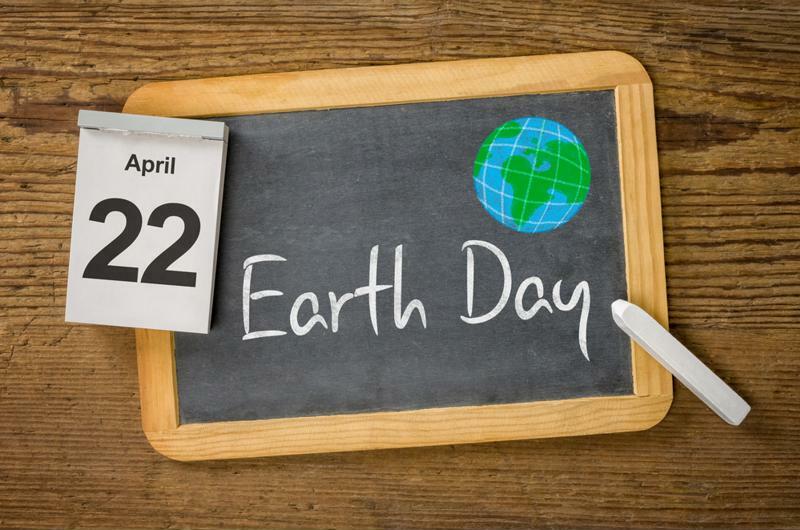 With Earth Day TODAY, it is a good time to think about what choices organizations can make to not only improve their image but also save on fuel and electricity costs, reducing their carbon footprint. Think about what it would be like to have to hand-deliver each SMS text or email to its recipient. The situation sounds far-fetched, but it is analogous to all the legwork and travel that many sales, service and IT teams have to put in when UC is not an option. Driving out to make a sales call or size up a technical issue at a remote office isn’t just time-consuming, it’s fuel-intensive too. Having to frequently refuel vehicles and reimburse travel expenses are stumbling blocks to green programs. UC provides another way forward. For example, many sales calls are now done through a combination of conference calling and screen sharing. Teams can close deals without having to hit the road. The utility of UC in these situations makes the underlying WAN more important than ever. A hybrid WAN, such as Talari’s THINKING WAN, ensures that critical traffic from applications for voice and video have access to the best bandwidth possible. Aggregation of MPLS and broadband Internet links protects UC from link outages and service degradations. We may be 15 years into the 21st century, but the age-old technology of paper is still very much with us. More than 300 million tons of paper are produced each year, with schools and offices leading the way in consumption. Despite recent technological change, usage of paper products has increased 126 percent in the last 20 years, according to The Paperless Project. This is a trend we need to reverse because we are losing natural forests at an alarming rate. Given how much waste paper accounts for, reducing its usage is a top priority for any green program. But the alternative has to be easy to use and cost-effective to implement, otherwise there is little incentive to switch from old-fashioned but reliable paper. Many businesses have turned to cloud-based platforms to move toward paperless environments. Still, a cloud UC, storage or productivity tool is only as good as the WAN underneath it. Having a secure network with ample bandwidth can make cloud tools reliable and convenient enough to replace everyday processes such as marking up documents (can be done via a document annotation app) or printing out reports (can be shared via cloud storage). Earth Day is the perfect time to think about streamlining your network to improve app performance to reduce our carbon footprint. Video has become the “killer app” for mobile devices, accounting for a huge share of all screen time and data usage. In addition to mobile, organizations have found new uses for video in solutions such as remote training, videoconferencing and surveillance equipment at remote sites. Videoconferencing enables a flexible workforce that can stay in touch without the need for regular travel. The environmental impact of maintaining a network connection for an occasional conversation is much less than having to refuel and service vehicles. Plus, video meetings will involve shared slide decks or PDFs rather than paper handouts, further reducing the amount of waste. Overall, UC can save paper, cut down on travel time and provide more efficient ways to hold sales calls and support remote offices. Think of UC as a central part of your business’s sustainability strategy moving forward and a better way to WAN with Talari as a way to get there.